The SmarterLabs partners with external advisor Cecilia Ribalaygua Batalla in front of the Smart City Santander Demonstration Center. 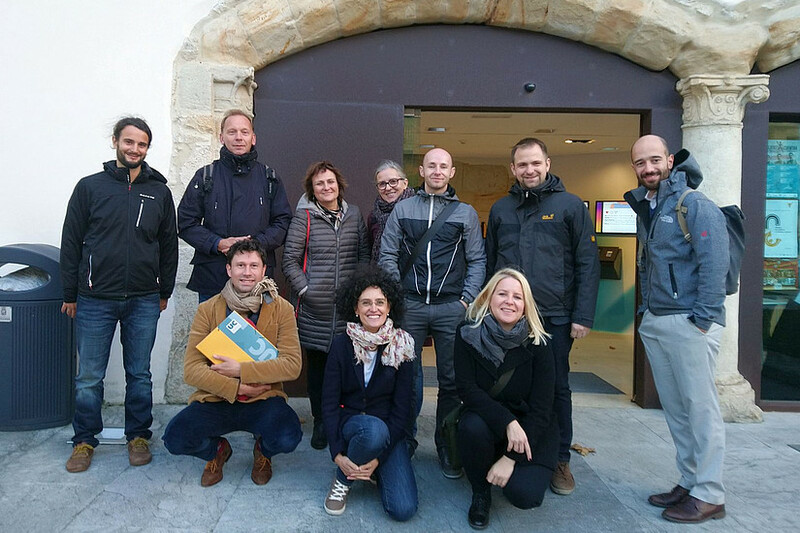 After Helsinki and Istanbul the third dissemination workshop focussed on an exchange with spanish partners from the cities of Santander and Bilbao. 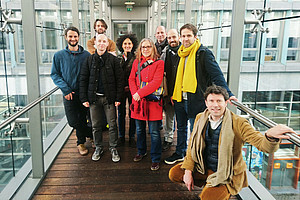 The meeting was supported by the project's external advisor Cecilia Ribalaygua Batalla who gathered local practitioners to meet the researchers of the SmarterLabs project. 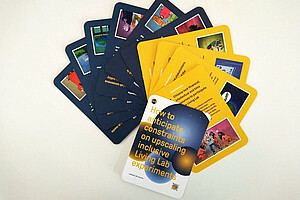 Together they reflected on constraints they experienced in Living Labs in terms of upscaling and social inclusion. 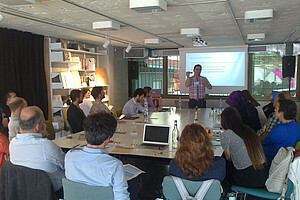 The presented examples included initiatives such as the "Bilbao Ria 2000" project or "Smart City Santander". The participants concluded that the ten constraints (and their corresponding anticipation strategies) which were identified by the SmarterLabs researchers were highly relevant and applicable. 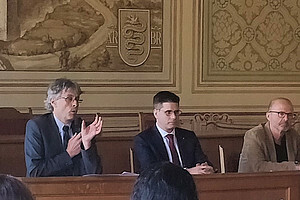 The stories from the practitioners shared some of the issues that were also present in the four SmarterLabs cities of Bellinzona, Brussels, Graz and Maastricht while others offered some new insights. After the discussions, the SmarterLabs team had the chance to visit the Smart City Demonstration Center and see several pieces of modern technology. Santander is well-known for their intensive application and testing of sensors to measure light, water, waste etc. Heading towards the end of the SmarterLabs project, the envisaged outcomes are getting concreter. 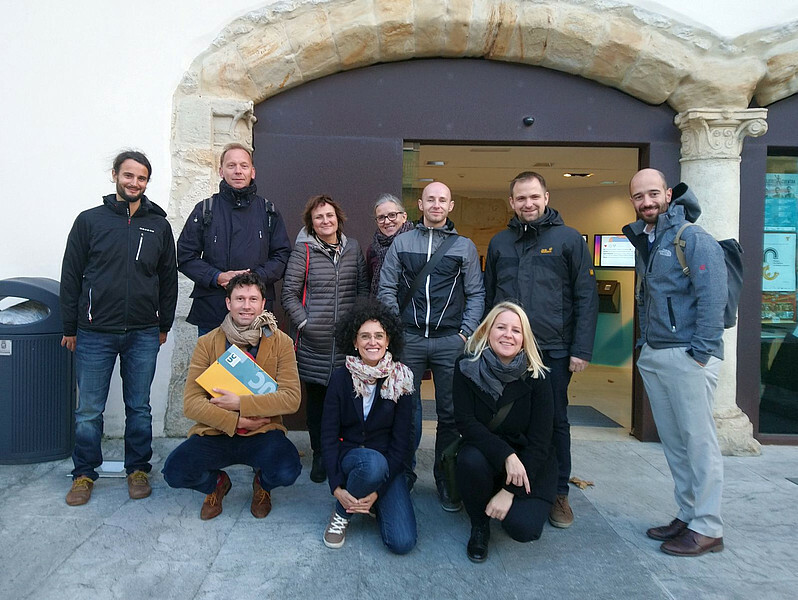 The three dissemination workshops in Helsinki, Istanbul and Santander enriched the learnings of the team and helped to sharpen the two main products: the practitioners brief and the policy brief. It will be at the final conference in Utrecht in March 2019 when these will be presented to the public; more information on that event will follow soon!